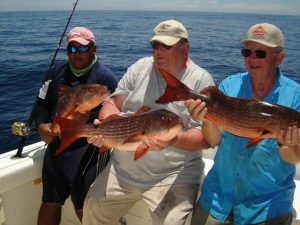 Offshore and inshore sport fishing off the coast of Panama during the month of May with Come Fish Panama could not have been any better. We had anglers bending all sorts of rods on many species which include African Pompano, Yellow Snapper, Yellowfin Tuna, Mahi Mahi/Dorado, Mullet Snapper, Silk Snapper, Cubera Snapper, Wahoo, Jack Crevalle, Blufin Trevally, Needlefish, Shark and more….. Our anglers came from Kentucky, California, Florida, Texas, France, Germany, Belgium and Brazil with some just looking to target Cow Tuna and others just looking to bend all sort of rods on as many species they could muster up. The action was hot and the action was heavy!! 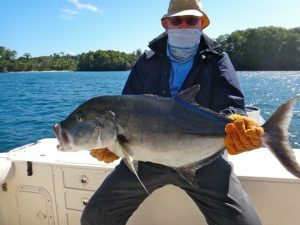 With anglers coming from all over the globe we were able to deliver many species on spinning gear, conventional and on the fly as well. 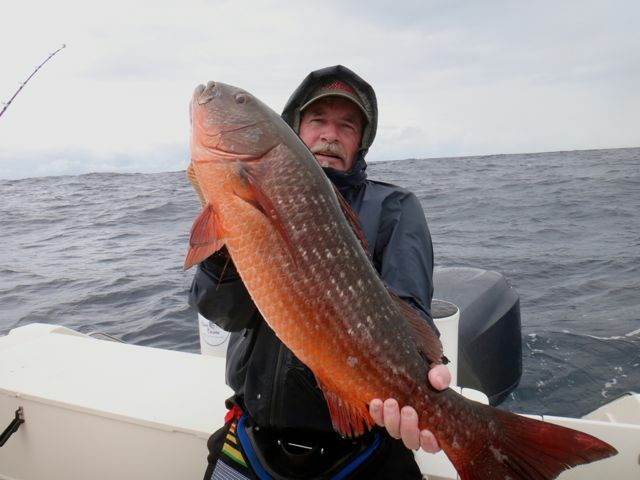 We threw poppers, jigs, stickbait, flies, sardines, ballyhoo, livebait, deadbait, surface iron, and trolled the usual blue runners, google eye, bonito and torpedos at all the species/pelagics this month. 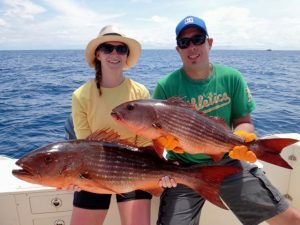 Some days they wanted one thing other days they wanted another, so we just changed with the flow as the action got heavy. 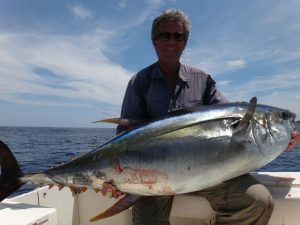 All anglers got a taste of what Yellowfin Tuna fishing is all about, once on the rod anglers realized that it’s not that simple and that these fish will punish you to the very end. 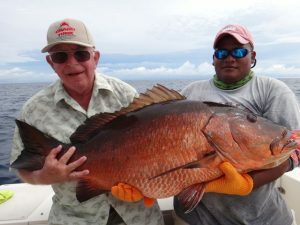 Some anglers decided to change out and pass the rod to others to try and land these species while others took the punishment and landed a monster of a fish. 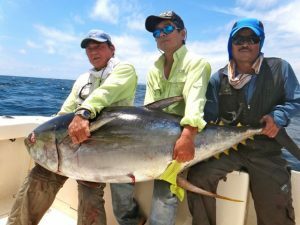 Never-the-less, all anglers enjoyed fishing for Yellowfin Tuna along with other species as well while enjoying their sport fishing adventure here with CFP. 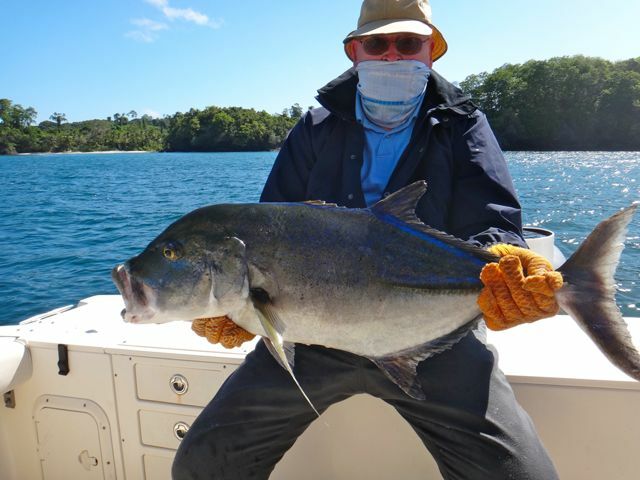 Many thanks to each and every angler that sport fished with us during the month of May. We realize their are other sport fishing outfits so we thank you for choosing to sport fish with Come Fish Panama. 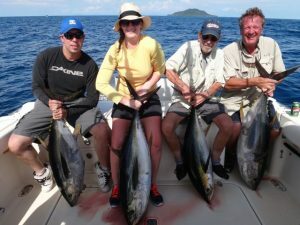 We look forward to your return in the near future and for those who are considering fishing our waters we invite you to join us- You will not be disappointed during the month of May fishing for Yellowfin Tuna or other species.